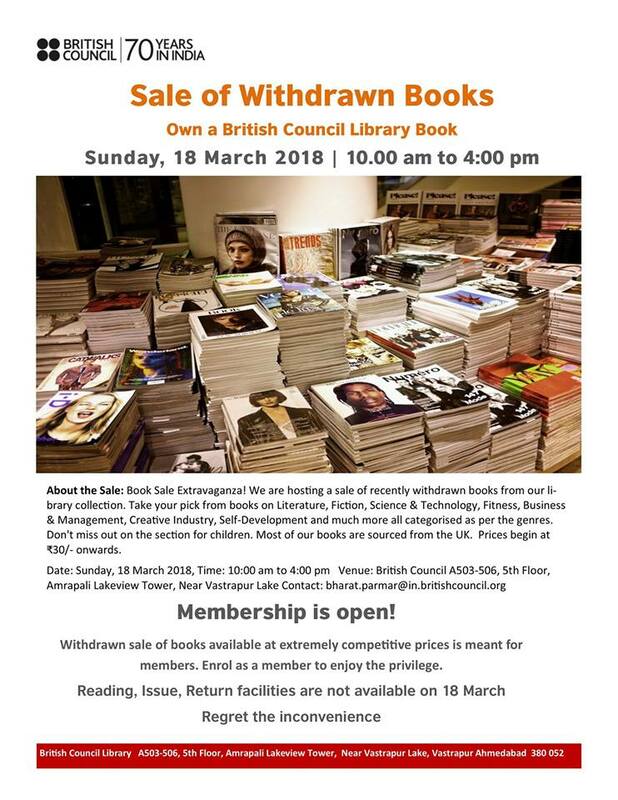 About the Sale: Book Sale Extravaganza! We are hosting a sale of recently withdrawn books from our library collection. Take your pick from books on Literature, Fiction, Science & Technology, Fitness, Business & Management, Creative Industry, Self-Development and much more all categorised as per the genres. Don’t miss out on the section for children. Most of our books are sourced from the UK. Prices begin at ₹30/- onwards.